Walt Disney World’s Magic Kingdom will be celebrating its 45th anniversary soon. Disney Parks Blog is featuring an original attraction each week to commemorate the event. I thought it would be fun to follow suit. Their posts have been interesting to read, but they’re short on photos, so I will be posting. some of my pictures from these original attractions. Recently, I featured the Walt Disney World Railroad. 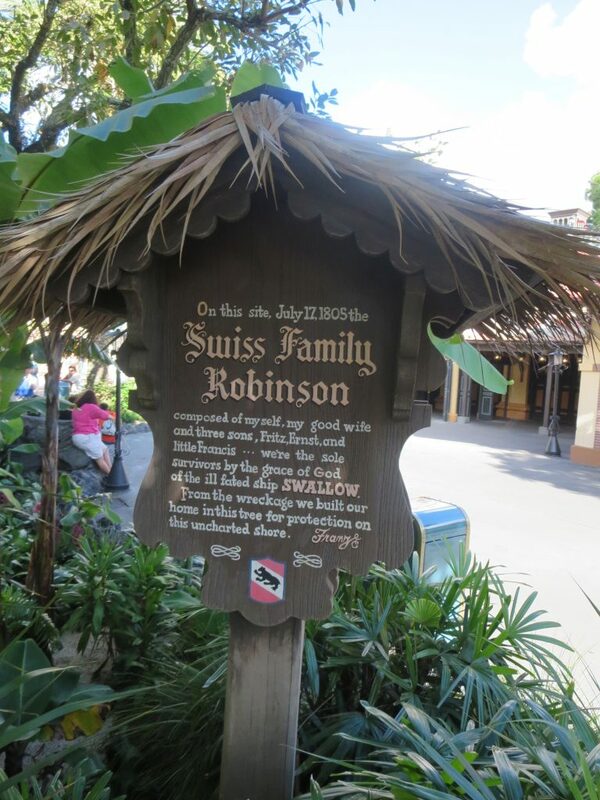 Today, I’m focusing on the Swiss Family Treehouse. Click here for Disney Parks Blog about the historic attraction. 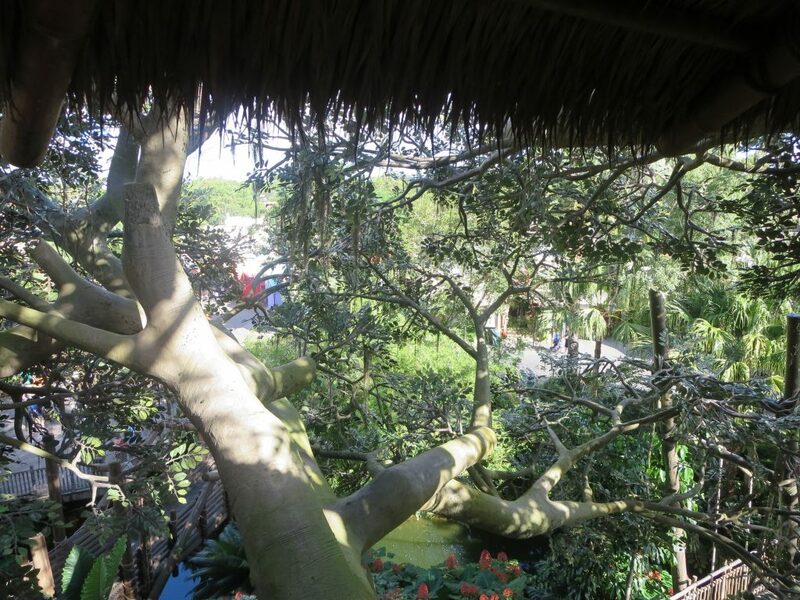 Beautiful surroundings make this Adventureland attraction look like it’s in a jungle. 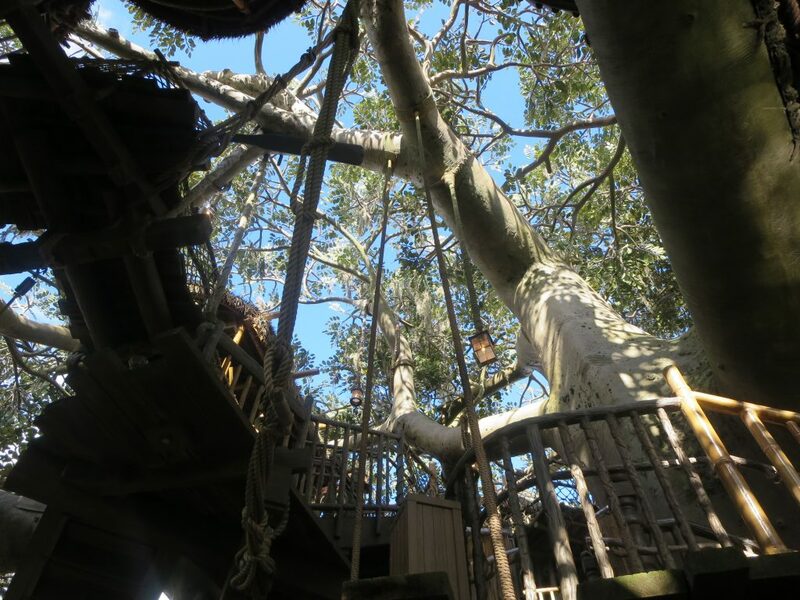 This attraction stems from every child’s wish for a treehouse and the classic Disney film, The Swiss Family Robinson (and original book by Johann David Wyss). In the story, the Robinson family becomes shipwrecked on a deserted island. 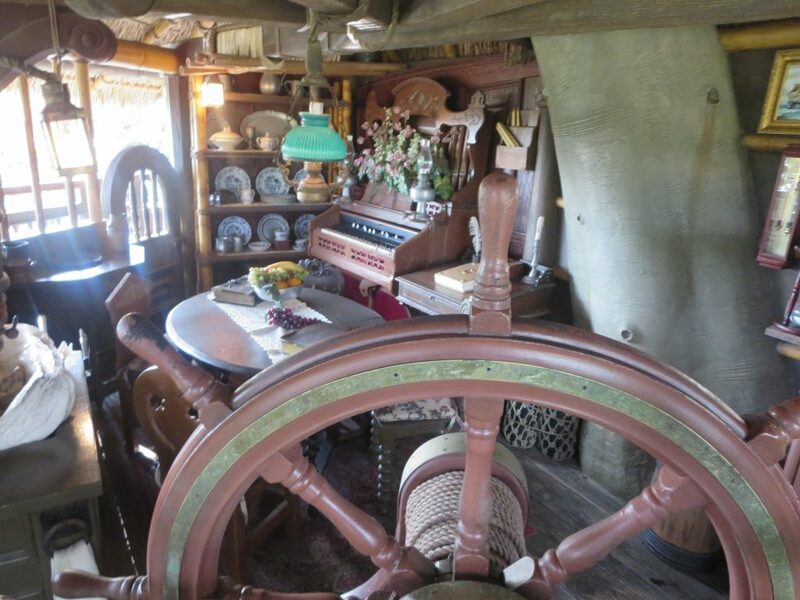 They use their creativity and bits and pieces from their ship and from the island to create an impressive home. It’s an impressive treehouse, to say the least! Fun fact: There are over 300,000 fabricated leaves on this attraction, all made to withstand wind and weather! What an intricate task to create and place leaves on this large tree structure. Along the way, you can peek in at the details of the home and notice things like the running water and pipeline they made, a working organ, and a clamshell sink. 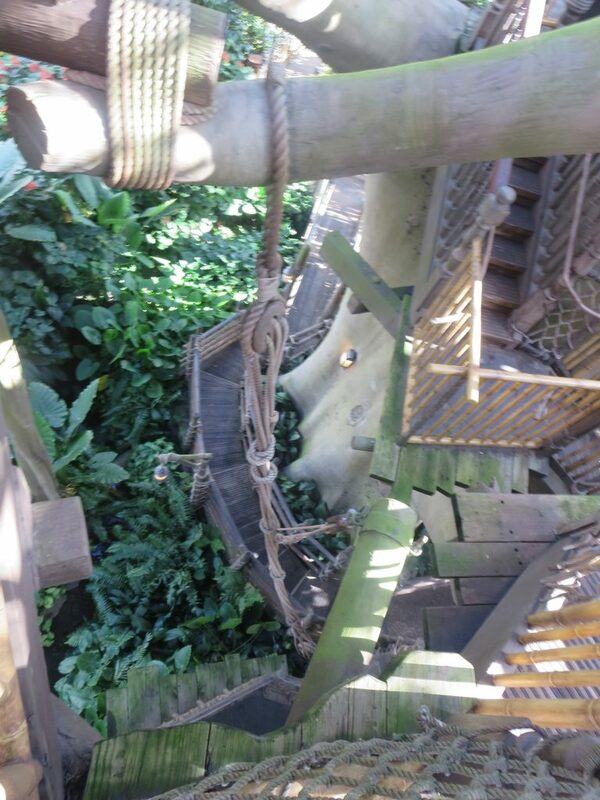 Once you reach the top, you can enjoy impressive views of the theme park. I love to see Cinderella Castle from here. 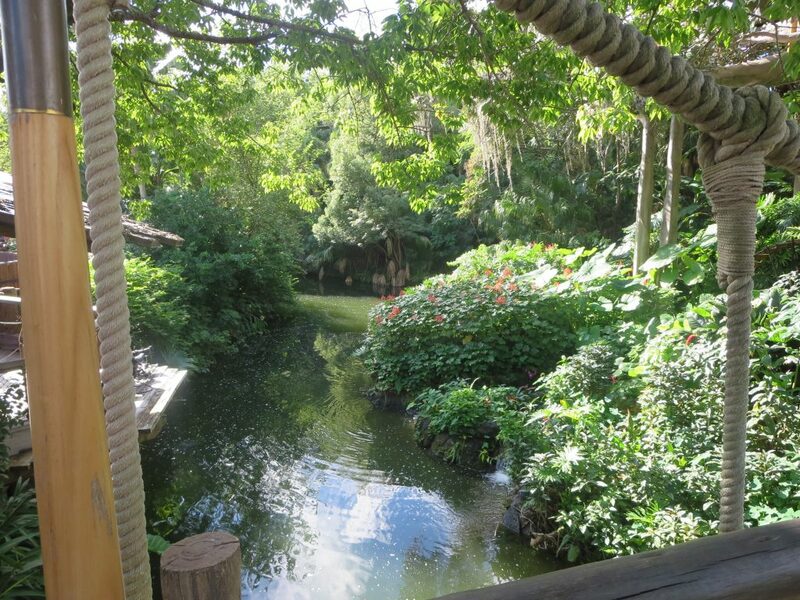 You can also see the Jungle Cruise river and other parts of Adventureland. 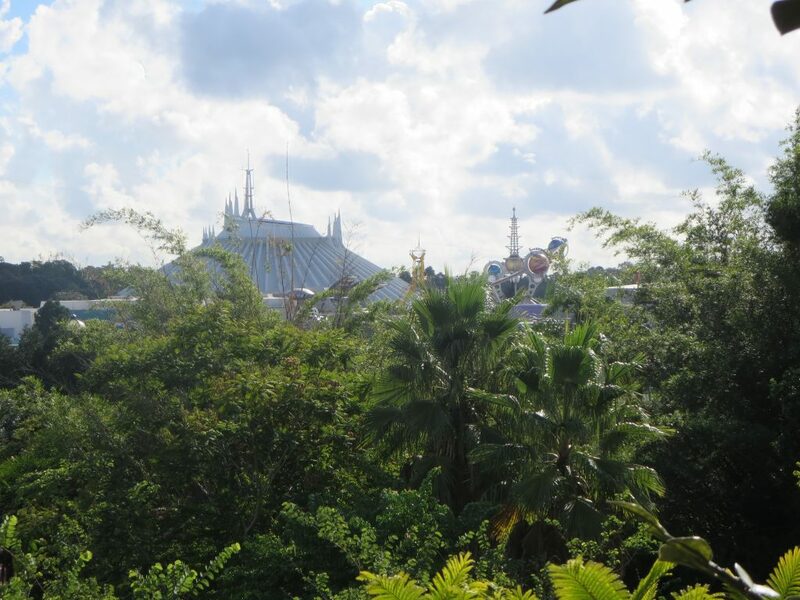 View of Tomorrowland from the top of the treehouse. 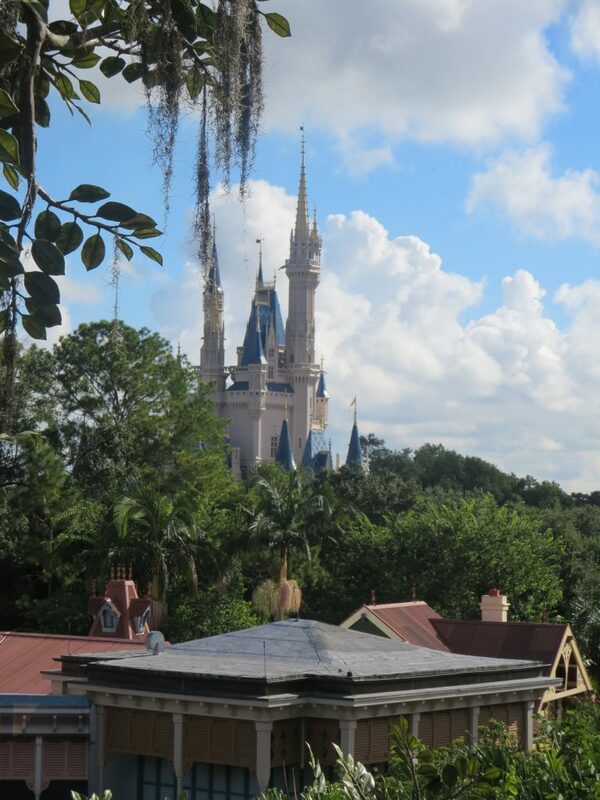 A zoomed-in photo of Cinderella Castle from the Swiss Family Treehouse. 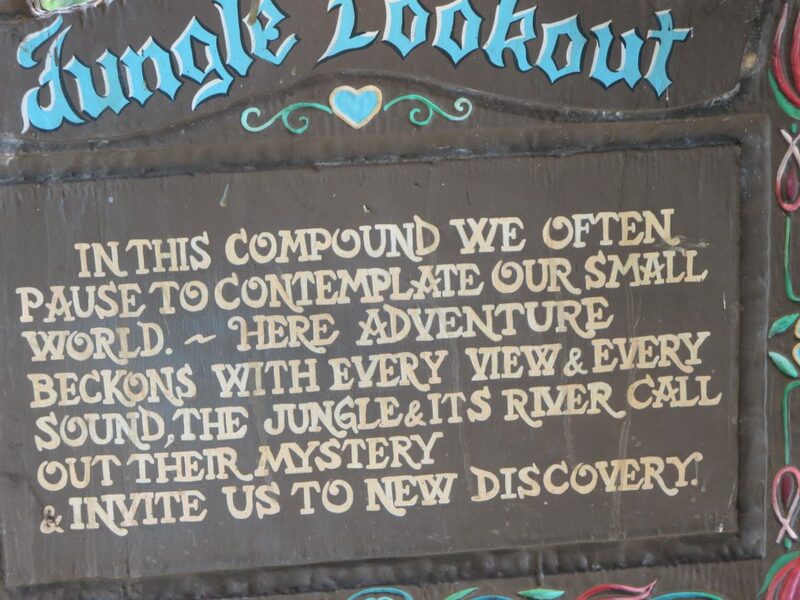 I also love the sweet saying on this sign from the Jungle Lookout at the top. Shouldn’t we all take the time to “pause and contemplate” and enjoy our surroundings? 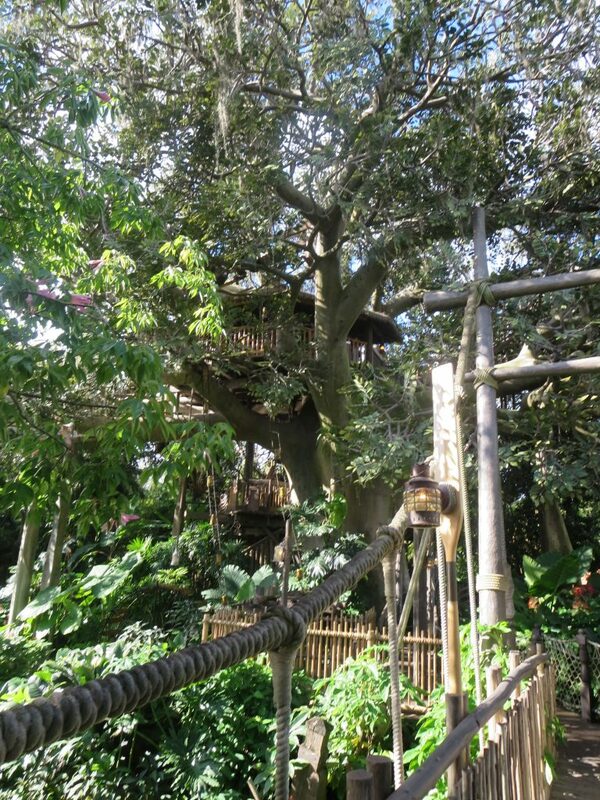 After touring the treehouse and taking in the view, it’s time to head back down (where you’ll see the kitchen) and enjoy the rest of Adventureland.